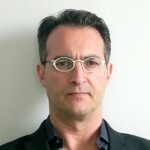 Enrique Martínez is a Senior Critic at the Rhode Island School of Design and an international consultant on systems innovation as founder and director of MUCHIEAST, a platform focusing on areas such as education, healthcare and wellbeing, and food systems. His research, teaching, and writing focus on the critical role that architecture and design have in resolving complex systemic problems such as climate change, public health, and social inequalities. He is a member of the Zoning Board of Reviews and the Healthy Communities Office, City of Providence, and a founding member of the Rhode Island Food Policy Council.